Still, the subject of abnormal sweating (hyperhidrosis) treated as a taboo subject in many countries. Nevertheless, there are now many serious therapeutic options that can counteract the different degrees of severity of hyperhidrosis. These therapies are dependent on the type and intensity of abnormal sweating. From a clinical perspective, the undisputed focus of the therapy difficult differentiation is dependent on whether sweating on the hands, feet, forehead, neck, shoulders or even the whole body (generalized hyperhidrosis) expresses. Depending on the cause of the phenomenon and sweating (mentally or physically), a systemic, physical, psychotherapeutic, or be considered as ultima ratio therapy in surgical consideration. 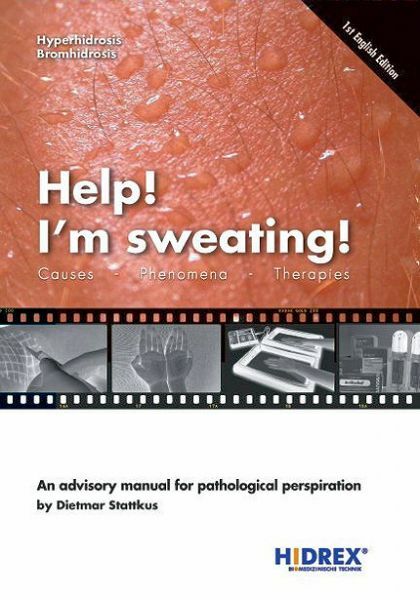 About these phenomena, causes and therapies of pathological excessive sweating informed the guidebook "Help, I sweat!" Dietmar Stattkus. Both the hyperhidrosis as well as the equally painful pathological sweating smell are represented in this guide. The book does not interact with the less informative website www.transpiration.de of the author and provides additional Informationspotential.Click here to find out more!